Home > Galleries > Darfur > Sudan Rebels. 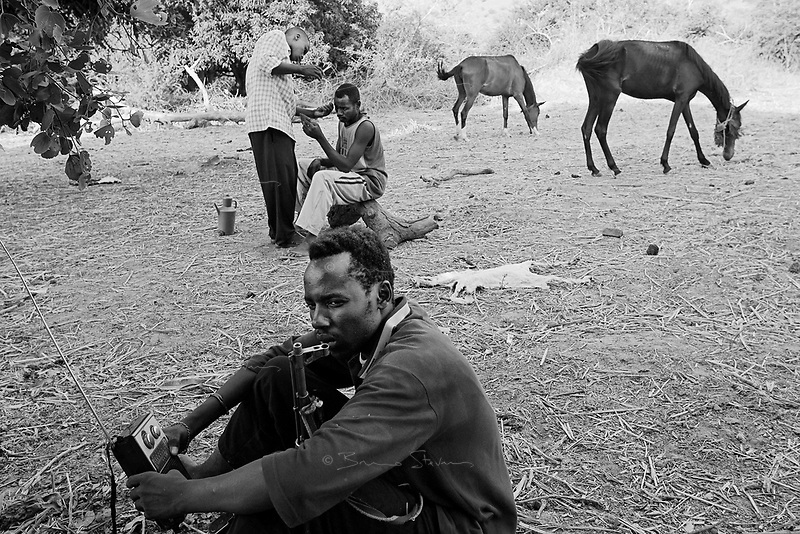 Western Sudan, June 15, 2004.A group from 'SLA' rebels near the border with Tchad. A rebel listens to 'The Voice of Sudan', an opposition radio network based in Asmara, Erythrea while another one gets a haircut.